On the spectrum of educators, Kathy Tobery is one art teacher who is solid gold. Nominated as Distinguished Graduate in Academics, Tobery is a Class of ’91 LHS graduate who has been teaching students middle school through college, inspiring others through art. Currently, she serves as head of the art department at Oakdale Middle School. In 2005, she won the FCPS Charles Tressler Award, and in 2009, she was nominated as FCPS Teacher of the Year, Frederick Chamber of Commerce Educator of the Year, and was included in Frederick Magazine‘s 2009 edition of “Six People to Watch”. In 2013, she was pronounced middle school “My Favorite Teacher” winner. From a young age, Tobery was fascinated by the arts. During middle and high school, she tried to take as many art classes as she could. She was already taking AP art in her junior year, and in that year she also won first place in the Women’s Civic Club art contest. 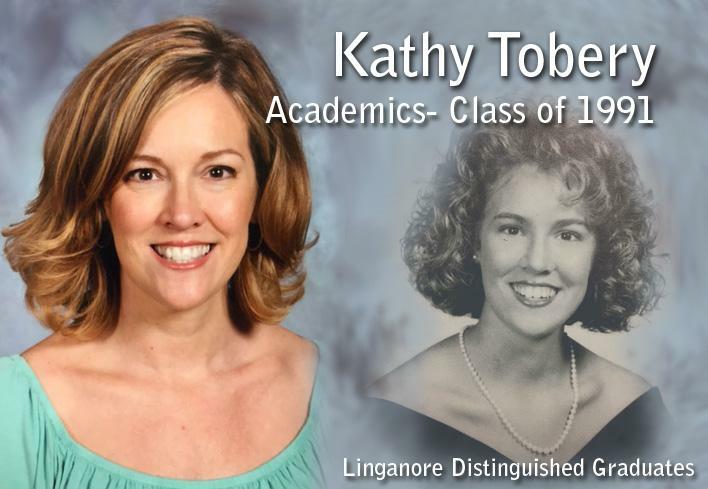 In her senior year, Tobery helped to found a chapter of the National Art Honor Society at Linganore. Teachers that particularly inspired Tobery during her high school career were Natalie Evans (now Natalie Rebetsky) and Carl Freundel. For a long time, Tobery was interested in psychology and originally wanted to be an art therapist, but worried about the emotional toll daily therapeutic work might take on her. “I realized that if young people learned how healing their own art could be, they might not need formal therapy,” said Tobery. Tobery’s favorite part about teaching art is that it provides people a critical outlet to express themselves, and she believes that tweens and teens need that voice more than most. Currently, Tobery lives with husband Chris Tobery and daughter Zoe. 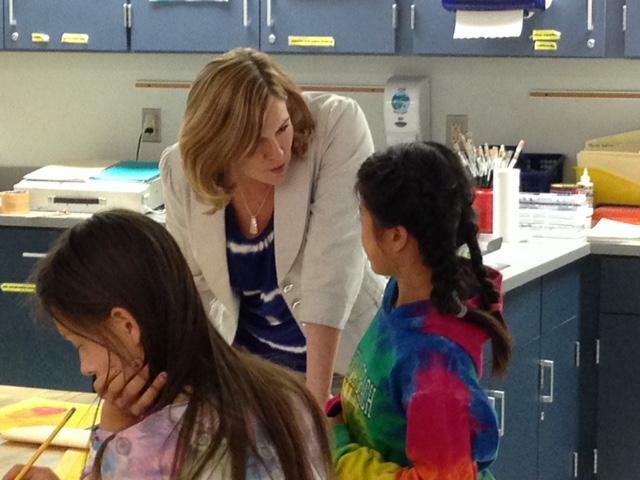 “Part of what makes Mrs. Tobery an effective teacher is her ongoing commitment to really breaking down the creative process into definable and manageable steps,” said Tobery’s sister, Karen Shomaker, an FCPS math teacher. Tobery is proud to be nominated as Linganore’s Distinguished Graduate of Academics for 2016. “To be appreciated for what you give back to your community is a teacher’s true wealth,” she said. Her best advice to current Linganore students is to make the most of every situation. “There is something to glean from each experience if you are open-minded and motivated to capitalize on it,” said Tobery. Tobery discusses classwork with one of her students.